With the time, need to use and analyze data efficiently have become essential. Hence, here comes the concept of Big Data, one of the most promising technologies of the decade. Today, Big Data has become a priority for the technical experts and data analysts as their primary job. They collect the large data and form figures and reports for easy perusal of the data. Hence, it has become important to learn Big Data in the technology world. No doubt, everyone wants to learn Big Data technologies. As the term is liberally used by everyone without a proper understanding of what it is and how does it help us. 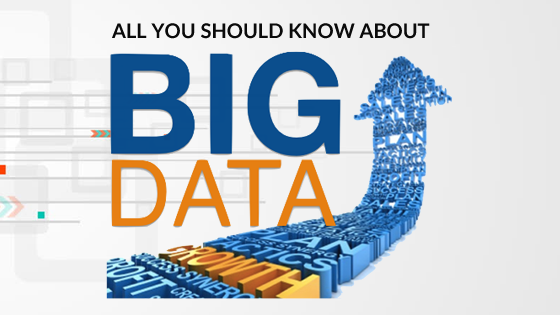 In this blog, we will discuss all the various perspectives of Big data in detail. So, it will be a great resource for those who want to learn Big Data. Let’s start with the introduction! To learn Big Data, it is important to understand the meaning of the term Big Data. The term Big Data could raise the question of how it is different from the regular term data that we use. Data is any character or symbol in raw form that a computer can store or transmit as signals and record on media. However, raw data has no value unless it is processed. As per the definition, Big Data refers to the vast amount of unstructured data that business processes create. It is usually the large amounts of data from the websites, transactions, emails, etc. Structured Data – Data accessed, processed, and stored in a fixed format or form is called as structured data. The example of this data form is a table ‘Student’ storing different fields for the different students containing the data in rows and columns. Unstructured Data – Data without any structure or a specific form is called as unstructured data. It becomes difficult to process and manage unstructured data. Examples of unstructured data may be data sources with images, text, videos, etc. Semi-structured Data – This kind of data contains the combination of both structured and unstructured data. It has a structured form but not defined as a table. The examples include data in an XML file. Want to learn Big Data? Here are the 101 Big Data Terms you should know to have a bright Big Data career! Volume – It refers to an enormous size of data and this size determines the volume of the data. Volume determines whether data is big or not. 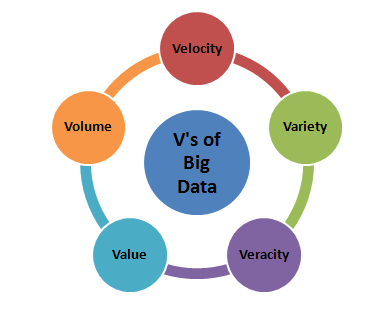 Velocity – It refers to the speed of generation of data. It shows how fast data is generated and processed for analysis. Variety – It means the heterogeneous nature of the data in question. Today, the data is of different types like photos, videos, emails, audio, etc. Variability – This is the inconsistency of data that can affect how we manage or process it effectively. Veracity – It refers to the trustworthiness and messiness of data. Due to the different forms of large data, it becomes important to control accuracy and quality of the data. With the new digital trends, a lot of changes take place in the industry in consumer behavior creating an enormous amount of data. This is the reason why every business wants employees to learn Big Data to make the use of this data. It will help them reaching consumer insights and inputs for their business. Time-Saving – Big Data technologies like Hadoop are very high-speed techniques that help in identifying sources and analyzing them very quickly. This allows quick and timely decision making. Cost Saving – The Big data techniques help in cost savings by storing huge amounts of data efficiently. So, if you learn Big Data, it will help you demonstrate your cost-effective data management skills. Customer Service – It helps in better feedback systems that can evaluate customer responses effectively. It allows people to manage the online as well as offline customer interactions appropriately. Consumer Insights – Big Data analytics tools underline the new consumer insights. This information can help in creating and developing new products for the market. Relevant and Trustworthy – Web analytics using big data can help in understanding the relevant data. Customer monitoring using latest technologies has become now more reliable and trustworthy. Security – Big Data technologies are the secure options to perform data analysis with high tech partners and better infrastructures. Operational Efficiency – Big Data technologies help in identifying the data that is usable and filtering other data. This helps in offloading irrelevant data, and we can achieve higher operational efficiency. Real-time Monitoring – Big Data technologies help in monitoring the systems in real time for checking any issues. They can identify the causes of any system failures too. Risk Identification – Big data allows early identification of any kind of risks related to products and services. Risk portfolios can be quickly re-evaluated for any issues. Predictive Analysis – This allows the organization to analyze social media and online spaces to check for consumer feedback and responses. It will help you in staying ahead of the competitors. Want to expand your knowledge? Here is the list of Best Big Data Blogs of 2018, Start reading to learn Big Data! Certain facts are there about Big Data that will help you in understanding the technology even better. 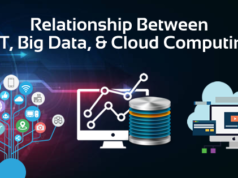 These will cover relevant aspects that your organization should consider while forming a strategy to implement and adopt Big Data technologies. The presence of Big data is everywhere in this highly digital world. Internet of Things (IoT) has given rise to new data sources. Now every item is digital, and new data keeps flowing to the company with these items. This huge amount of data we produce and access every day is nothing but Big Data. No industry is untouched by Big Data, and so it becomes important to learn Big Data. It is vital for organizations to realize that and use this data to their benefit. The information technology giants have to understand that adapting Big Data technologies is a cultural shift. For making the organization data-driven, there will be strategic as well as operational changes. Making use of the data better by the employees can happen only if this cultural adaptation takes place. To learn Big Data technologies, we require setting our minds to work with large datasets. People are the essence of the implementation of Big Data technologies in an organization. The data management strategy can only happen if the people in the organization learn Big Data technologies and are ready to strategize according to it. So, it is important to learn Big Data skills by the employees in the organizations. There is a shortage of Big data engineers already, and this will increase as per prediction. As the companies are fastly adopting the Big Data technologies, this has given rise to the requirement of well-trained talent. In big companies, the companies want the existing resources to learn Big Data technologies and get training along with the hiring of experts from outside. There has been a huge increase in the funding available for the Big data field. Many venture capital firms are investing in the start-ups worldwide. The governments are spending for R & D in this field. Hence, if you learn Big Data, the opportunities will be countless in this field. Want to know more about Big Data Analytics? Explore our previous blog on why is Big Data Analytics so important? However, there are certain issues while making use of big data. The statistics for data analysis shall be performed carefully because the numbers can be misleading. The misinterpretation or misanalysis can give an incorrect insight of data, thus may result in wrong decisions. The big data solutions come with a significant amount of expense to incur, and the alignment of budgets is necessary for the appropriate return on the investment. There is a need for adaptability to implement these solutions. The existing systems in place shall align properly with the latest systems for efficient use. Organisations today want the employees to learn Big Data technologies very commonly due to the many benefits offered by these technologies. It is not limited to the amount of data the company collects but how the organization uses this data for analysis and making decisions. Apache Hadoop is most common and popular Big Data technology used worldwide. Hadoop based products are growing in number, and many vendors support the Hadoop ecosystem. If you want to learn Big Data, it’s good to start with the Hadoop. Spark is another part of Hadoop ecosystem independently used everywhere. 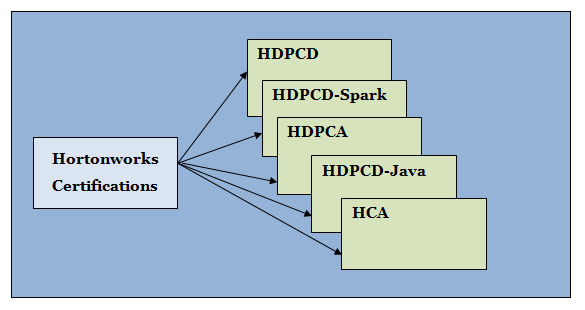 Spark is the processing engine for Big data in Hadoop, and it is faster than the Hadoop engine. The vendors of Hadoop also allow Spark based products. These are the special databases that specialize in unstructured data usage and storage. The popular databases are MongoDB, Cassandra, etc. These are known for fast performance. R is an open source programming language specially available for statistical analysis. This software environment and language is very popular among data scientists with its user-friendly IDE. This technology involves the use of data mining and modeling along with machine learning to predict the future behaviors or events. This is widely common in marketing, finance, credit score, fraud detection, etc. This part of data analytics helps in offering advice to the companies regarding what and how should they do for desired results. The organizations are creating huge repositories for collecting data from different sources and storing in the natural state. These are the Data Lakes. They let the organizations store the data when the organizations are using the data. AI has become usable in the last few years. The data analytics, deep learning, and machine learning are a part of the field of AI now. The use of analytics tools in AI is inevitable and continuously growing too. Data governance has become extremely important due to the security concerns today. This includes the processes of data integrity, usability, and availability. With the growing adaptation of big data in the companies, the security of data repositories from hackers and threats is necessary. This has increased the need for Data security solutions too. It is the technology underlying the Bitcoin digital currency, and it functions as a distributed database. The unique feature of Blockchain is that the data cannot be deleted or changed once it has been written to the database. Apache Hadoop is the most popular tool that is often used interchangeably with Big data itself. Hadoop is the open software framework based on Java that is used for distributed storage of huge datasets on the clusters. It offers scalability for the datasets and fault tolerance for your hardware. Hadoop is the best tool for storing all kinds of data and handling concurrent tasks as it offers ease of use to process both unstructured and structured data. Apache Hive is another popular big data tool that helps in querying and managing huge datasets. It supports a query language for data modeling and interaction. It allows programmers to analyze datasets using tasks defined in Java and Python. It is used for querying structured data only, but it reduces the complex programming of Map Reduce for the users. Apache Storm is an open source tool for streaming real-time data processing. It is a distributed fault tolerant system with real-time computation capabilities. Storm uses parallel processing across a cluster of machines, and it is known as one of the most straightforward big data tools to work with. It is a great tool written in C++ for managing data that keeps changing frequently. This data can be both structured and unstructured derived from mobile applications, content management systems, etc. It offers high availability and index support in analyzing large datasets and making applications. HPCC is the tool by LexisNexis Risk Solution that offers effective ways for data analysis. It works as an alternative for Hadoop as it is a platform for querying, transforming and manipulating data. HPCC offers scalability and high performance with its built-in distributed system. Apache Cassandra is the database used popularly for efficient management of huge datasets. It offers a fault tolerant system with data replicated on multiple nodes. The database is known for its high scalability, performance, and availability. Looking for more open source Big Data tools? Read this article Top 10 Open Source Big Data Tools in 2018. Why is Big Data Career the Best Move in the Industry? Big Data analytics is the most trending job in the market today. There is a huge demand, but the talent is scarce. Hence it will be easier to fetch a great job for an engineer with relevant expertise. If you learn Big Data, it will add big data expertise and skills to your resume, and the salary benefits you can get are quite high. Big data jobs are being suggested as one of the heavy package jobs today. The jobs of Data engineers, Data Scientists and Architects are increasingly competitive in the IT world. Hence, learning Big data can give you the growth you have been looking for. The multinational companies like SAP, IBM, Microsoft, Oracle, etc. are offering jobs in high number for big data professionals. The expert data scientists and specialists with experience can get a great growth opportunity with these big brand names. Big data analytics is becoming popular in many industries including healthcare, media, education, retail, manufacturing, etc. These industries offer job opportunities in multiple domains as they use quicker decision making and effective solutions these days commonly. The field of big data opens new doors for you to explore the potential in other areas of marketing, finance, Business Intelligence (BI) as well. You can learn Big data skills include Data mining, Data Visualization, Data Infrastructure, etc. for further enhancing your expertise. Big Data market has grown a lot in the last few years, and it is overgrowing. The job market in Big Data field will grow tremendously in the next couple of years. 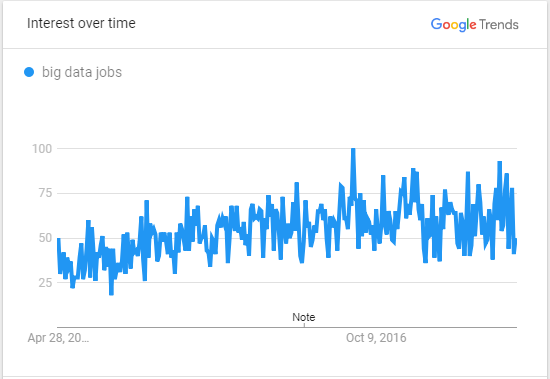 This growth will be seen in all the big data jobs. So, if you choose to learn Big Data, you will have a number of job opportunities to build a Big Data career. The yearly demand for data engineers, data scientists, and data developers will increase up to 700,000 new job postings by the year 2020. According to IBM, the demand for data scientists will grow by 28% by the year 2020. Also, the jobs in US market will increase in number by 364,000. The analytics skills considered most lucrative are Machine Learning, MapReduce, Apache Pig, Hive, and Hadoop. The jobs in all these technologies pay heavily. The data scientists and analytics professionals with skills in Apache Hive, Pig and Hadoop receive pay as high as $100K. In the overall Data Science and Analytics (DSA) field, 59% of the jobs are in the IT industry, Finance and Insurance industry and Professional Services. Finance and Insurance industry accounts for 19% of the jobs followed by Professional Services and IT with 18% and 17%. The jobs requiring the experts in Machine Learning, Data sciences, and big data technologies are most challenging to fill. This leads to extra efforts by recruiters along with the arising need for training programs for existing talent. 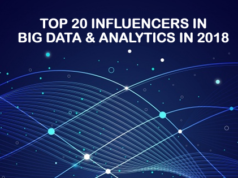 The roles with the highest growth rate are Advanced Analysts and Data Scientists with the demand growth of 28% predicted by 2020. Data scientists and analysts are also the toughest jobs to fill for employers. The employers pay much more for these roles. Around 39% of Advanced Analyst and Data Scientists positions need a Ph.D. or Masters for the demanding job roles. The experienced candidates drive the salaries even higher than the normally paid. Big Data is all about turning facts and figures into insight. Let’s have a look at the Big Data Trends in 2018. Big data professional is an umbrella term that all the professionals working on data sciences, data tools and technologies use. There can be confusion in these roles due to the complex nature of big data technologies. Hence it is important to understand what every role or job title is and what are the responsibilities of the role. Data Engineer is the popular job title in the big data world. This role is a part of a non-analytic career ladder. The data engineers are responsible for design and implementation of data infrastructure. The data engineer is a crucial role in managing the big data ecosystem. The engineer has to focus on Apache Hadoop ecosystem and Spark ecosystem along with databases. This is the crucial role similar to the Database Administrator (DBA) role in IT. The Data Management professional manages the data-both structured and unstructured and the supporting infrastructure. The expert playing this role is essential for establishing the Big Data infrastructure in the organization. The essential skills required for this role are Hadoop related query languages like Pig and Hive. The Data Management Professional needs to gain knowledge of NoSQL databases, SQL and relational databases along with Apache Spark and Hadoop. This is the role of data analysis and data presentation. Business Analysts involves the responsibilities of creating reports, dashboards, and overall Business Intelligence. The role will involve interaction with the Big data frameworks and the databases as well. It is important for business analysts to possess knowledge of commercial dashboard packages and reporting solutions. Data-Oriented professionals or real Data Scientists carry expertise of data and related aspects of the tools used for data analysis. They need to know everything about statistics, data visualization and programming languages like R, SQL, Python, etc. These are the roles dealing with the statistical analysis of data. They carry out the predictive analysis and use correlation tools for analyzing data available. Statistics is the key to this role. Other skills include algebra, calculus, machine learning algorithms, and programming skills. Learning Big Data skills and expertise for IT people is seen as the key to land a dream job and excel in their career. Data skills seem to unfold job opportunities wide open for the engineers and IT professionals these days. There are job roles like technology developer, Data engineer, Analytics engineer, etc. that are attracting the professionals all around the world. With the rise in demand for these skills, it has become essential for the IT people to up-skill themselves with these sought-after skills. The training and certifications available today can help to learn big data skills. It is also important to know the skills that you might want to focus on while training yourselves. Data Analytics and Data Sciences – With technology and finance adapting the data science technologies, the opportunities in these fields are huge. Data scientists and Advanced Analysts are the most rapidly growing job roles, and Data Scientist is certainly the best job in the US right now. 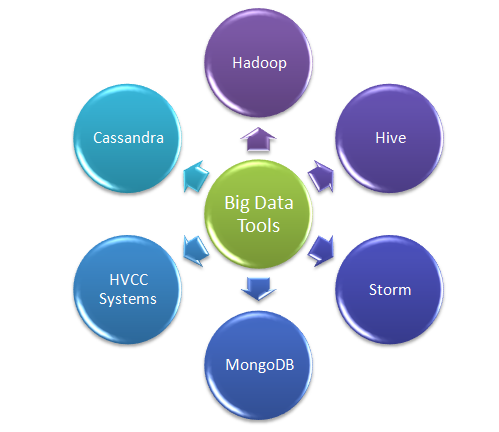 Apache Hadoop – Big data has another name attached to it – Hadoop. Hadoop professionals have been in demand for a few years now. Hadoop is known to be the best platform for data processing and is used widely nowadays. The professionals with the knowledge of Hadoop stack including MapReduce, Pig, Hive, HDFS, HBase, etc. are in great demand. NoSQL Database – The NoSQL Database is another crucial part of Big Data environment as it takes care of the data storage and management. NoSQL professionals are in great demand in every industry. Engineers shall focus on learning MongoDB, Cassandra, and HBase for growth opportunities. Apache Spark – Another popular and must-have skill for big data professionals is to acquire Apache Spark expertise. It is the fastest growing job requirement in the data world. Job postings for Apache Spark are growing by 120% every year. Data Visualisation – It is an upcoming big data field where business context for data is in question. Data visualization allows the stakeholders and non-analysts to understand the data model and take decisions according to it. You can opt for the recognized Big Data certifications like Cloudera and Hortonworks certifications. These two distribution platforms focus on the fundamental as well as advanced technologies that you can add to your resume to validate the Hadoop expertise. CCA Spark and Hadoop Developer: This certification check the candidate’s ability to process and transform data with Apache Spark and Cloudera tools. CCA Data Analyst: It checks the core skills of data analysis and data modeling that define the relationships from the input data. CCA Administrator: The certification checks the cluster administration skills that the organizations require for managing the databases deployed using Cloudera. Cloudera offers CCP Data Engineer certification that checks the data science skills of the candidates. Confused between Cloudera and Hortonworks? Let’s clear out the confusion and find whether Cloudera or Hortonworks is better! HDPCD certification is a hands-on exam where you need to perform a set of tasks. It is for the developers carrying the knowledge of Hadoop frameworks like Pig, Sqoop, Hive, and Flame. This is a performance-based certification that checks the practical skills of a candidate. The candidate has to perform real tasks on live products. It is for the developers working on Spark Core and Spark applications in Python or Scala. This certification is a hands-on exam for Java MapReduce jobs and Hadoop based applications written in Java. The certification HCA is for the entry-level skills or fundamental skills required for the higher level certifications offered by Hortonworks. HDFCNA is for the architects of Data Flow working on NiFi and such streaming applications create Data Flows. How does a Big data Certification Help to Build a Rock Solid Big Data Career? Making a career in Big Data will require the right skills and expertise of the professionals. It is also important to showcase these skills the right way. To make a career shift in this booming field, certifications can prove to be helpful. Being certified in Big Data technologies and tools can give you a reliable proof of your skills. You will get a competitive edge over the others. Acceptance in Industry – The certifications in Big Data market are widely accepted norm. Since technologies keep changing every few months, degree or diploma might not help you. For this fast changing scenario, certifications are the way to go for. These act as speedy learning intervals for you. At the same time, these will act as special points for your resume. The recruiters these days receive tonnes of applications. The candidates may have the similar qualifications and skills, but recruiters find certifications much more important criteria to filter out candidates. 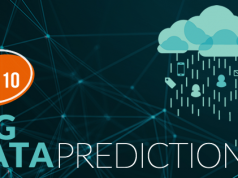 Big Industry – As per predictions, Big Data industry is worth billions of dollars. There are huge growth prospects in big data tools in the software, infrastructure, and services industry. This is the reason for huge investments in this sector now. High Salary – The lucrative salary packages are offered to Big data professionals. As the companies are adopting analytics and Data Science fast, they are looking for the talent. The good quality talent is scarce. Hence the companies offer very high packages as the demand is much more than the available talent. Career Progression – Big Data certifications can help you greatly in learning the basic know-how, and this can prove to be a long-term gain. Analytics and data sciences can help hugely in your career progression. The future of the IT world and tech market is in the Big Data technologies. No industry can grow without making use of Big Data tools and technologies. Not to mention, the talent demand is rising with the requirement of Big Data implementation and data analysis. The professionals can gain a lot in their career if they learn Big Data technologies. Hence Big data is the part of changing the world that we live in today. Whizlabs realize the fact and help you learn Big Data by offering certification guides for HortonWorks and Cloudera. The guide covers from individual to corporate level covering all aspects of preparation. These materials are up to date with required hands-on help. Moreover, the candidate will receive continuous supervision from expert training team. Join us and explore the world of Big Data! Have any query/suggestion? Write us here or just put a comment below, we will be happy to respond!